While they tried to steal more than $1 million from five credit unions, including the Nassau Educators Federal Credit Union, authorities said. Authorities announced Friday that they dismantled a "highly sophisticated" credit union loan fraud ring — that they said stole the identities of hundreds of victims, including teachers from Nassau County and Mineola hospital employees — following a six-month investigation begun after a Long Island-based credit union noticed a pattern in how the defendants allegedly opened accounts. 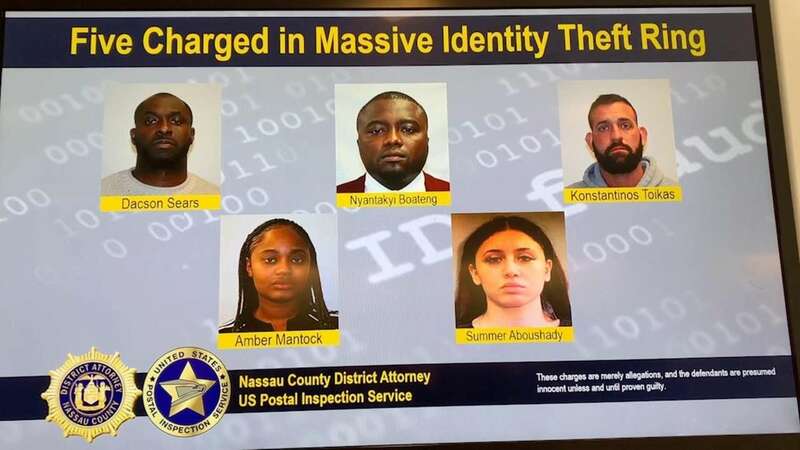 The suspects tried to steal more than $1 million from five credit unions, including the Nassau Educators Federal Credit Union, officials from the Nassau County district attorney's office and the U.S. Postal Inspection Service said Friday during a news conference in Mineola. 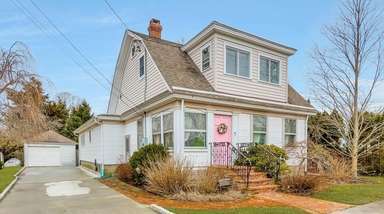 The ring allegedly used the identities of more than 500 victims — 10 percent of whom are believed to be from Long Island — over the last year through more than 100 loan applications. Authorities said the ring was successful in stealing $250,000 from the credit unions using about 20 identities of people from across the country. Those figures are expected to increase as the investigation continues, authorities said. 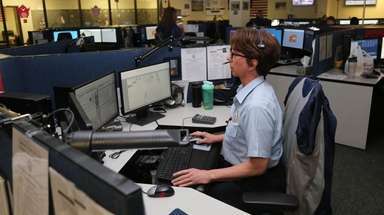 None of the identity theft victims lost money, authorities said. The alleged ringleader, Dacson Sears, 36, of Brooklyn, is an economics major accused of using his knowledge of the industry to further the scheme. Sears owns a credit repair service. He allegedly targeted victims who he believed would have credit scores above 680 — including teachers from Great Neck, Lawrence and Syosset, and employees from hospitals such as NYU Winthrop Hospital in Mineola — and opened loans between $7,500 and $35,000 online in their names using faked tax documents, utility bills and phone numbers. He found their names through publicly available websites and purchased additional information through the Dark Web based in Africa for $4 per identity, authorities said. "[Sears was] assuming that those teachers would have good credit scores or that they were people of means," District Attorney Madeline Singas said of the Great Neck teachers. Konstantinos Toikas, 28, of Brooklyn, is a security guard for Capital One. He introduced Sears to Summer Aboushady, 26, of Queens, a banker for Capital One who is accused of stealing account information and selling it to Sears' ring, authorities said. She also allegedly opened accounts in the names of the stolen identities so Sears could deposit the stolen loan money into them. Sears; Toikas; Amber Mantock, 25, of Queens; and Nyantakyi Boateng, 32, of New Jersey, who was briefly signed to the New York Giants as a wide receiver in the 2010 preseason before being released, allegedly withdrew the funds from ATMs and spent it on car loans, rent and plane tickets. 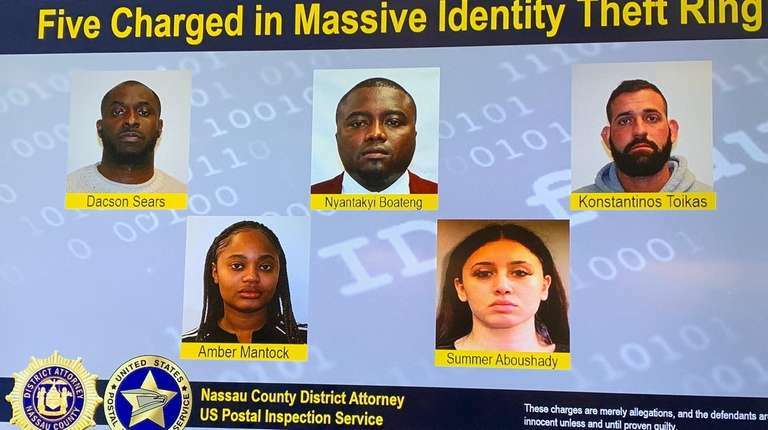 Officials at Nassau Educators Federal Credit Union said they noticed a pattern when the defendants opened accounts with postal money orders, "which is not a typical way to open an account," according to Valerie Garguilo, vice president of marketing and community relations. "It put up a red flag." The credit union requested an investigation, which ultimately led to the arrests. "Obviously we're glad," she said. "We've saved our fellow credit unions millions of dollars." The other credit unions also noticed a problem when they weren't getting loans repaid and called the victims, who responded, "What loan?" according to Diane Peress, chief of the district attorney's office's financial crimes bureau. Authorities seized boxes of documents and computers and are still combing through the trove of evidence. "This is the tip of the iceberg," she said. All five defendants were arrested Tuesday and arraigned Wednesday. They returned to court for hearings Friday, authorities said. Sears is charged with two counts of second-degree grand larceny, three counts of first-degree identity theft and first-degree scheme to defraud. He is in jail on $250,000 bond or $125,000 cash. If convicted of the top count, he faces 5 to 15 years in prison, according to the district attorney's office. Sears' Westbury lawyer, Camille Opal Russell, said her client plans to post bail soon and she is waiting to see evidence. "This case is very complicated," she said. "My client maintains his innocence." The other defendants' online court records did not list attorneys. The Great Neck school district sent an email Friday to employees regarding the alleged scheme and are in contact with the district attorney's office. "The communication indicated that we have no evidence that any of our systems were hacked or that anyone’s school district accounts were compromised," the district said in a statement. "Aside from staff member directories that include names, the District does not post personal information on our website. Technology is a vital component of education and school district operations. We take network security and employee privacy seriously." 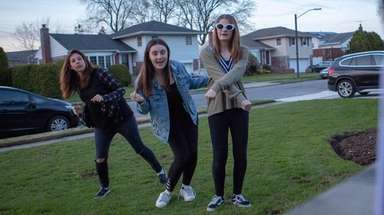 A spokeswoman for the Syosset school district declined to comment. The Lawrence school district did not return a request for comment. 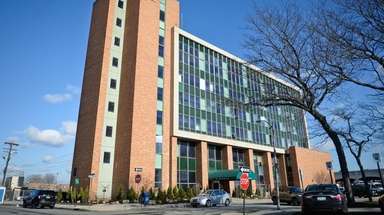 Hospital spokesman J. Edmund Keating said Winthrop was unaware of the investigation and no employees had reported anything to human resources. A spokeswoman for Capital One declined to comment, citing the ongoing investigation. The Giants did not return a request for comment. Officials on Friday urged residents to check their free credit reports. "It's important for consumers to protect themselves," Singas said.